I got this intersting postcard from the Netherlands via postcrossing. 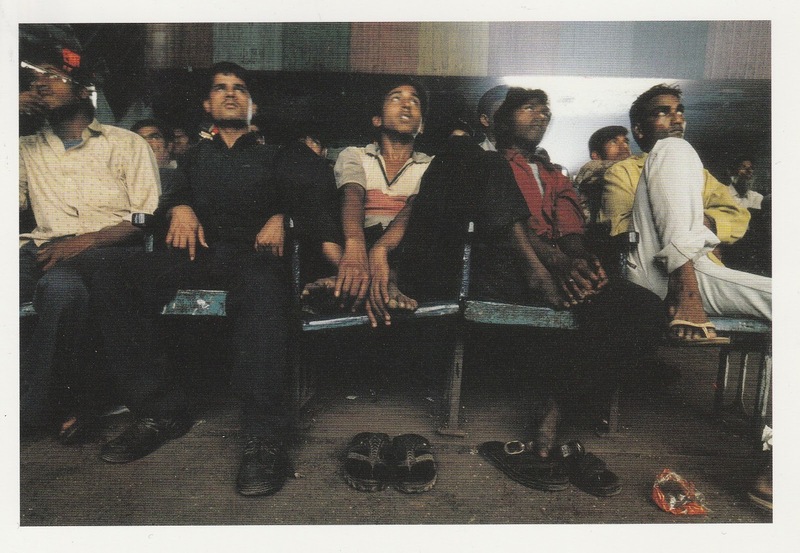 It is a picture from the book Bollywood Dreams by Jonathan Torgovnik. The New Shirin Talkies Cinema is one of the oldest cinemas in Mumbai with one screen. I don't know if it is still showing movies or if it closed. The view of the audience in a cinema is very rare and strange. People look like being in trance, forget all around them and the old and uncomfortable chairs beneath them. Sitting in the front row is the most direct contact with the screen you could have (I did it sometimes too).